The operator of the Fukushima nuclear plant has sent a transforming robot to conduct an unprecedented mission inside the primary containment vessel of Reactor 1. This is the first time a robot has entered the damaged interior of the reactor. The robot was to check the first floor of the containment vessel Friday, and will go on to explore the second half Monday. The I-shaped device, about 9.5 centimeters high and 60 centimeters long, entered the vessel via a 10-centimeter diameter pipe, according to The Japan Times. After entering it assumed a shape similar to number 3 and was to measure temperature and radiation levels. In October 2012, when a measuring device was put into the same vessel, the radiation peaked at 11 Sieverts per hour at most. One Sievert may cause illness if absorbed all at once, while 8 Sieverts may result in death. The transforming robot on the reactor mission is remotely controlled from a plant building where the radiation level is currently low. The robot will also take photos of the interior and check if there are any obstacles on the part of the first floor that leads to the underground area. The current research will be only the first step, as TEPCO eventually wants the device to get to the underground vessel with massive amounts of melted fuel. This part of the study is to be carried out next March. 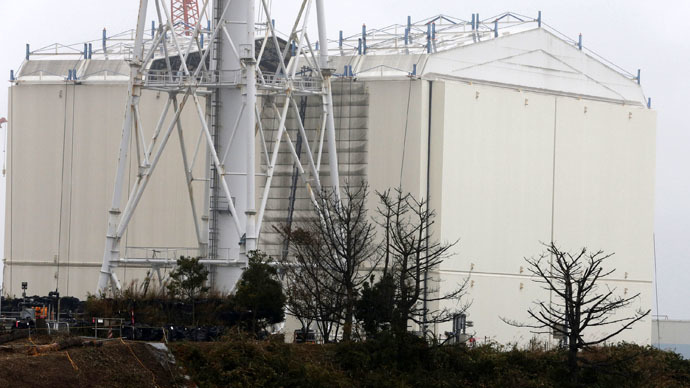 "We believe this will lead us to figuring out how to decommission the reactor," Ryo Shimizu, spokesman for plant operator Tokyo Electric Power Company (TEPCO), told NBC News. The robot still needs some improvement, as it should be made amphibious to conduct research on the underground vessel: there is a pool with highly radioactive water there. Robots have been used to research the situation at Fukushima before, but never went inside the containment vessel: for example, a UK device that 3D-mapped radiation sources at the plant was introduced back in January. The Fukushima plant had meltdowns at three of its six units after a tsunami swept through the facility in March 2011.